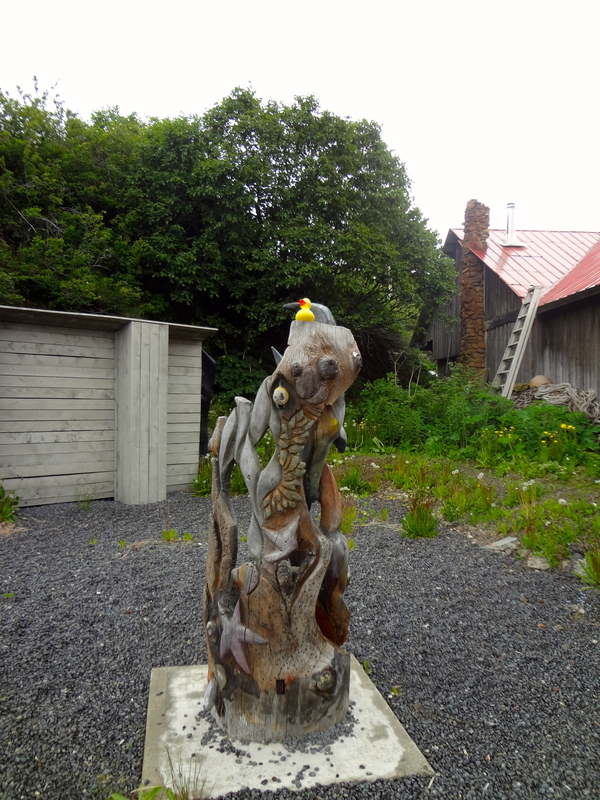 Our Alaska cousin, Eider Duck, visited Seldovia, Alaska after he went halibut fishing. What a great trip, Eider. 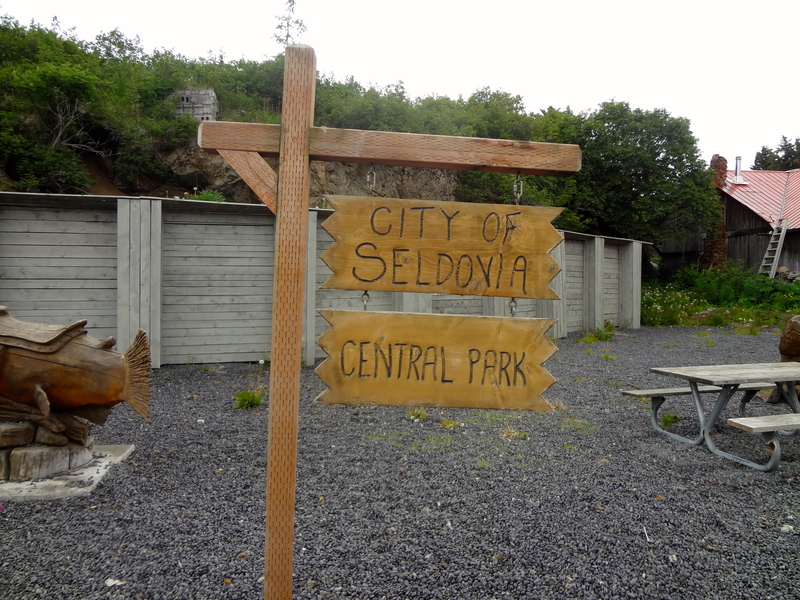 Seldovia is a small town. The population was 255 according to the 2010 census. That is really small, Eider. Seldovia, Alaska is on the Kenai Peninsula, on Kachemak Bay. Seldovia is southwest of Homer, where Eider started his halibut fishing trip. 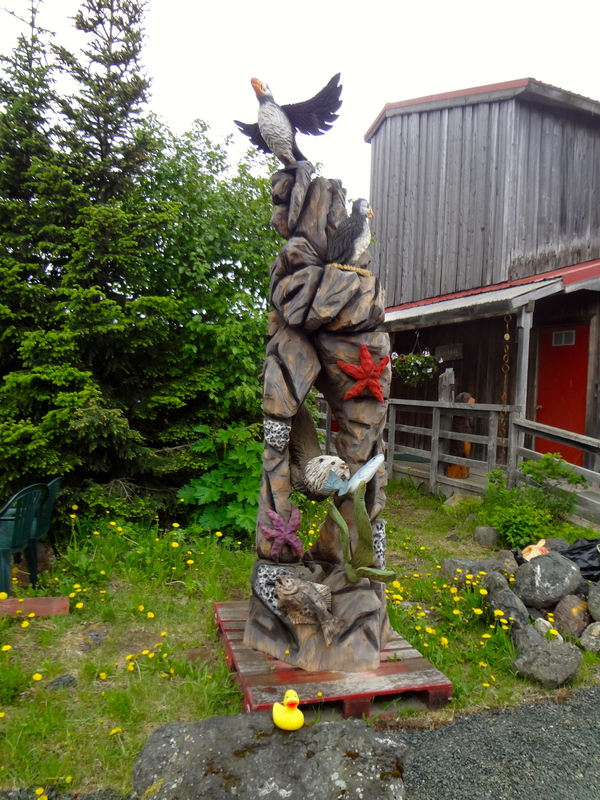 We liked this totem pole type carving. 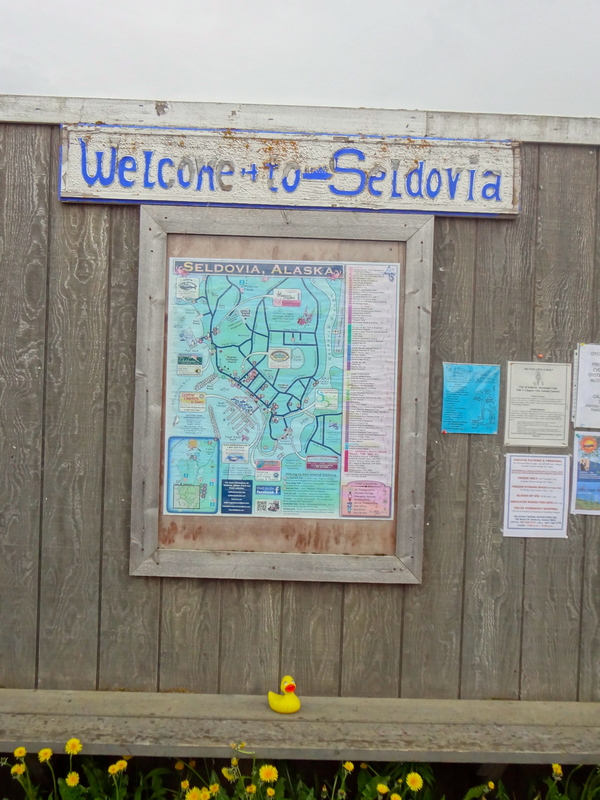 Many of the residents of Seldovia are descendants of Athabaskan Indian and Alutiiq Eskimo. 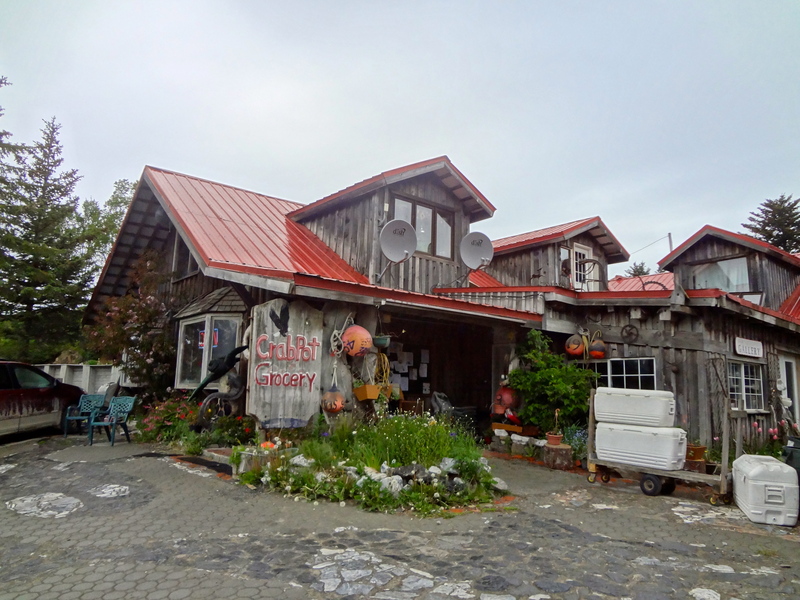 Even though the town is small, they have a grocery store, the Crab Pot Grocery. Sometimes King Crab are trapped in these waters. We liked the photos of City Central Park. 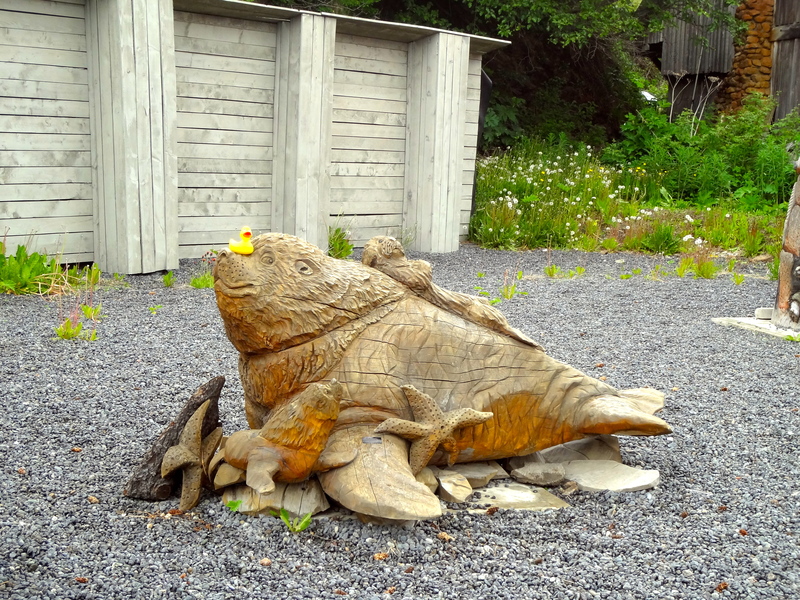 The carved wood sculptures are great. Love it Eider. And starfish! And, Eider, you look fantastic on them. We could not pick a favorite. Eider likes them all, also. In 1788 this was a Russian fur trade post. Seldovia is an old town. The Russian St. Nicholas Orthodox Church was completed in 1820. You may remember that Alaska once belonged to Russia. The United States purchased Alaska from Russia October 18, 1867. 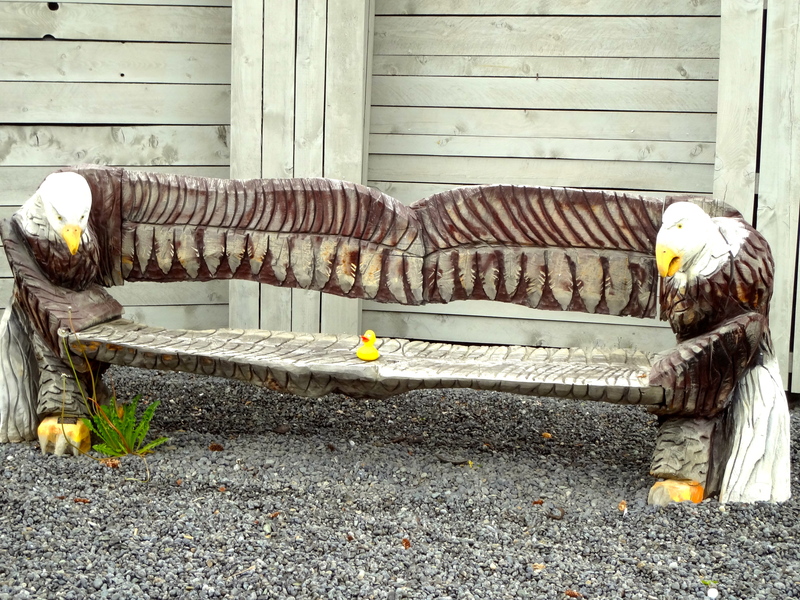 Isn’t this a great bench? There really are many American Bald Eagles in this area. Most visitors to Seldovia arrive by charter boats that bring sport fisherman, like Eider, to this small town. 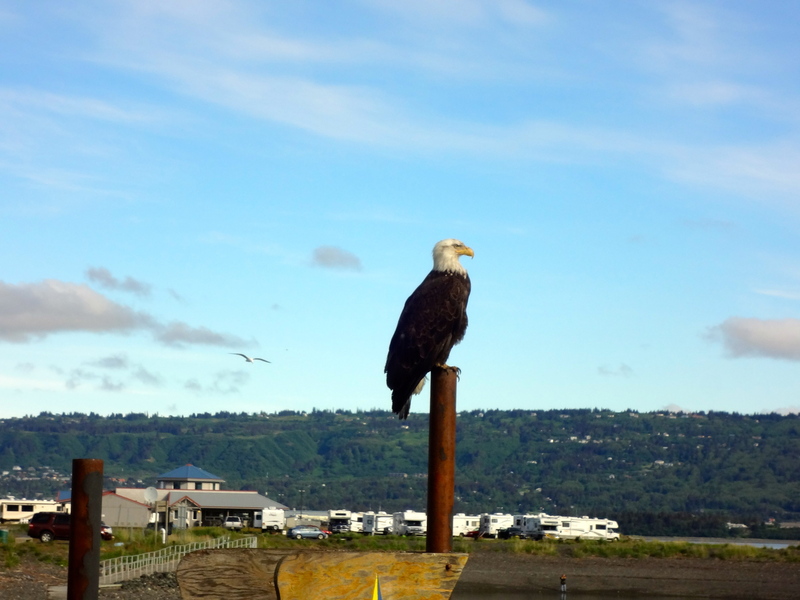 And, speaking or writing of eagles, here is one, a common sight along the Alaskan coast. Thanks for the photos Eider. Looks like you had a great visit to Seldovia. 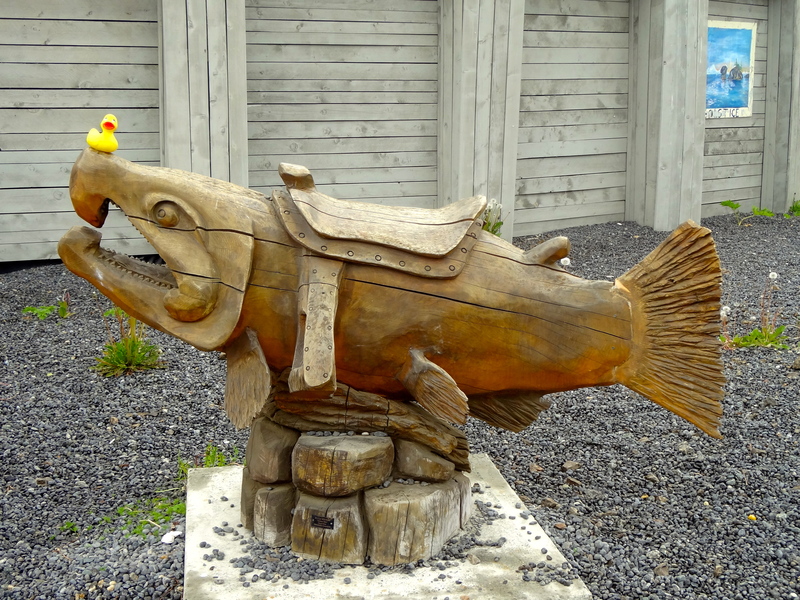 This entry was posted in Alaska, Uncategorized and tagged Alaska, Alutiiq Eskimo, Athabaskan Indian, Colorado Traveling Ducks, Homer, Kachemak Bay, Kenai Peninsula, Russian fur trade post, Seldovia. Bookmark the permalink. Thanks. I love the eagles. Thanks for reading and commenting. I was thinking Seldovia sounded like a very European name and then you mentioned Russia. That makes sense. I love the photo of the eagle. Eagle is my favorite also, however, the fish with a saddle does make me smile. Thanks for reading and commenting.